IOS App Developer: Plex Inc. I use external srt files, and these work on all of my other devices. I am able to cast from my iPad to my Chromecast, and I can see the subtitles then. "Can not load media" That's the error I get. Google search shows it to be a common problem using the plex app on iPad and playing on windows. Android version works well though. Haven't been able to use iPad app in over six months. 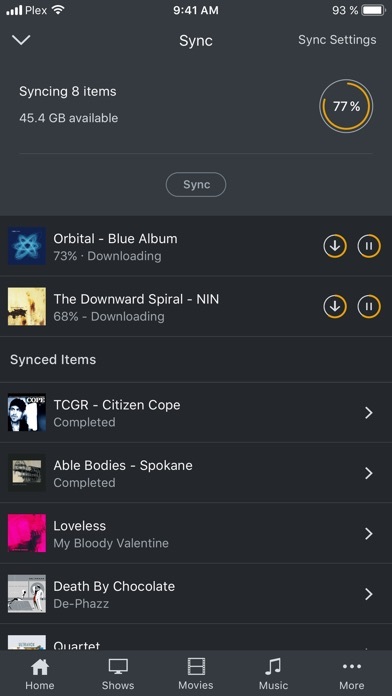 I installed Plex on my PC and iPhone because I found other ways to stream music from my hard drive to be unreliable or complicated. You install Plex and it quickly finds all media files on your computer - no need to direct it to folders. All the music on my drive appears on my iPhone with tags intact. All album covers are shown, and each artist now has a helpful little bio! This is all with absolutely no effort on my part. Streaming on a wifi network from the computer to the phone, and from the phone to the stereo using Airplay, always works without a hitch. 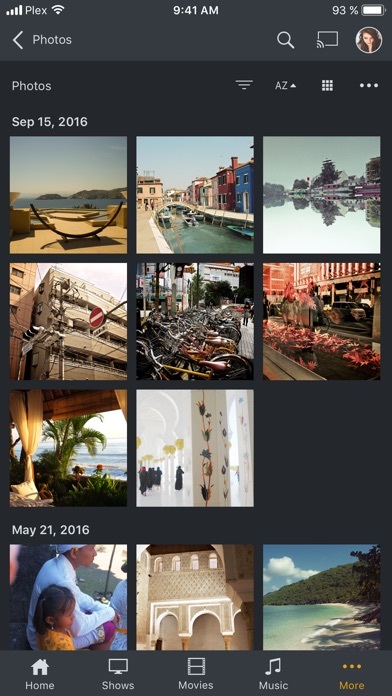 The user interface is attractive, powerful, well-organized, and easy to use. Everything happens smoothly and promptly - no pauses or glitches so far. 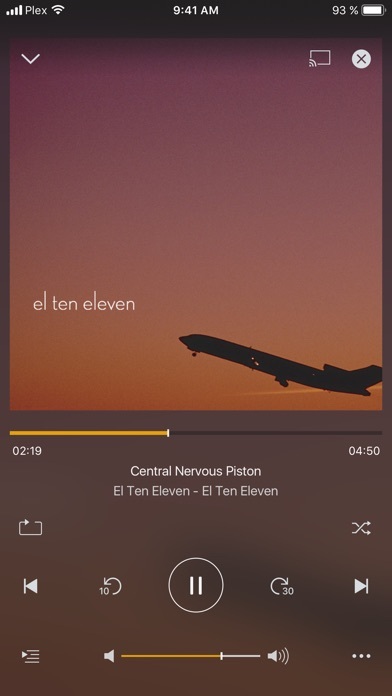 Plex was my all time favorite media manager before they updated all the functionality out of it. 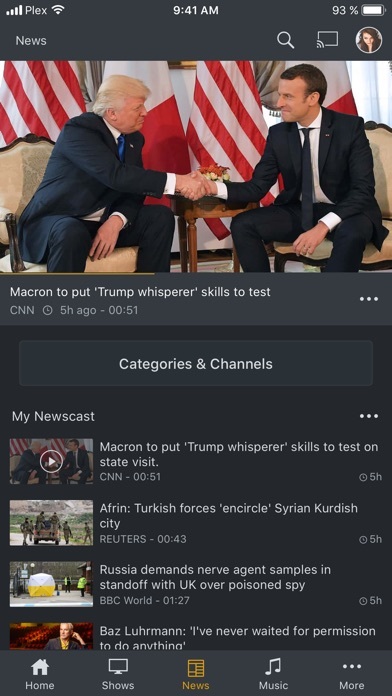 After the new update i lost my media types to enter all my categories. Only home is available where only i can see recently added ones. I cant even go to more and enable or reorder anything so please fix it. Im not gonna update my ipad since the issue came to my phone already. Great App! But What is With The Issues? I have been a PlexPass member for years now and I couldn’t be happier. However, lately playback has been terrible. For example, if I shuffle anything a CD, a playlist, my library whatever I get this weird issue where two songs will just start playing at once. To fix it I usually have to stop the track(s) and either skip back a track or skip forward. Then one of the two songs will play properly. In addition, sometimes when I go to play a song in a playlist or CD (anything with multiple tracks) sometimes the track will not play. It will instead skip right to the next song and no matter what I do it will not play. The track is fine though because I can play it by accessing the file directly (not through Plex). Lastly, ever since this offline browsing thing was introduced it has been glitchy. If I want to access my files on my server I usually have to toggle it on and off a few times before my library will show up. It works the same for if I want to access tracks synced on my phone too. Love the thought of being able to toggle, but has to be a better way. What ever happened to just clicking in the upper left corner? Best way to use Plex. 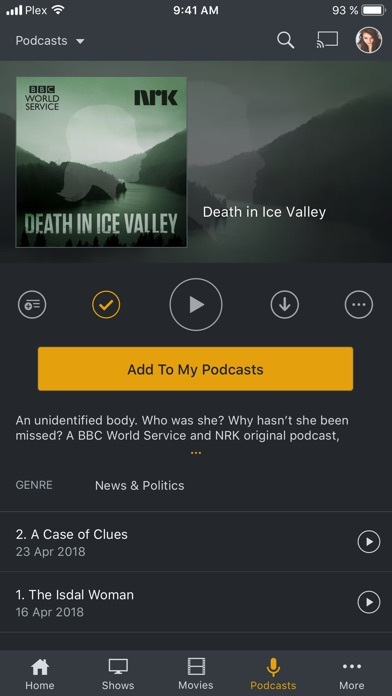 Plex for Apple TV recently changed and now no longer allows searches for genre. In fact, the differences between search categories between plex for iPad and plex for Apple TV is alarming. 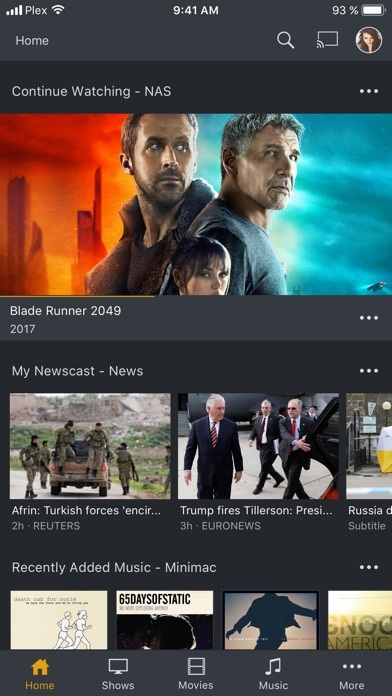 The old search parameters were a positive benefit for users like me who search for media by genre such as action, drama, musical, documentary, etc. Very disappointed in this change in functionality. 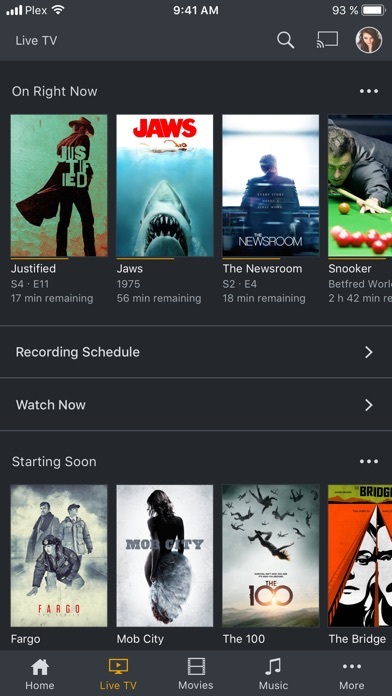 More IOS Apps by Plex Inc.